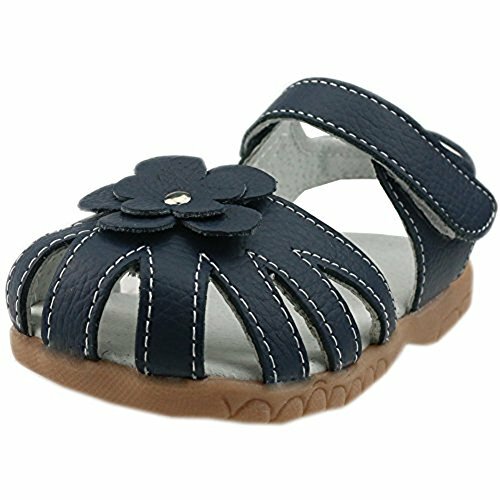 This girls sandals feature with good quality leather material and light sole. It is great for daily walking, party, school, a good gift for your little princess. Material:Leather/Oxford Outer Material: Cowhide Sole: Oxford Heel Type: Flat Shoe Width: D NOTE: This is our special sales shoes, Our size choice attached our shoe inside long.BEFORE YOU BUY OUR SHOES, PLEASE MEASURE YOU BABY FEET.THANK YOU?¨º?If you baby feet have a little wide and a little fat,please chioce big one yard.If you have some problem, please free contact us first. Shoes inside long: US Size 5=13.7 cm, US Size 6=14.2cm, US Size 7=14.7cm, US size 8=15.2cm US Size 8.5=15.5cm, US Size 9=16cm, US Size 9.5=16.5cm, US Size 10=17.3cm US Size 11=18cm, US Size 11.5=18.5cm, US Size 12=18.8cm, US Size 12.5=19.3cm US Size 13=20cm, US Size 1=20.7cm, US Size 2=21.2cm, US Size 2.5=22cm This "DADAWEN"style Sandal is the best popular this year.Oxford shoes sole,cowhide upper and pigskin inside.It is suit for Various occasions and various kinds of sports.This Sandal carry with Chinese size, Maybe you can see our size chart , Please measure your feet long .To help you choose correct suitable size easily, we have convert into US size for your selection. Thanks for your shopping. 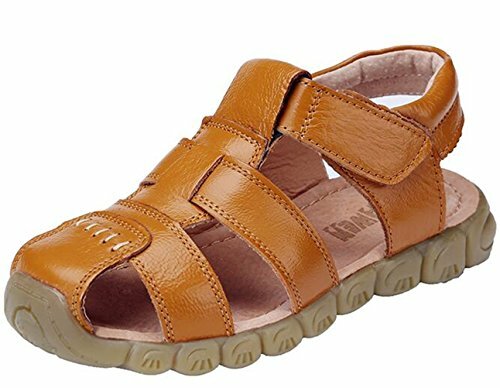 Material:Leather Sole: Rubber Heel Type: Flat Color: As Shown Are you looking for a comfortable and durable sandals shoes for your live lovely kids? 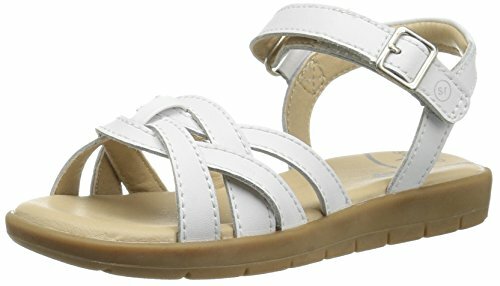 This closed-toe outdoor breathable sport sandals will certainly satisfy you! These shoes are suitable for walking, jogging, running, hiking, climbing, traveling, camping, biking for spring, summer, autumn and winter. Kids Closed-toe Sandals Highlights: -Safe and Considerate Detail Designs Rubber closed-toe guard with flexible non-marking rubber outsole enhances anti-slip traction, grip and durability, to create a safe protection for your kid's foot -Super Lightweight and Breathable Quick drying and skin friendly uppers feature breathable leather material and stitching details design provide kids comfortable feelings -Easy on and off with flexible adjustment Sporty quick-drying sandal with combination hook-and-loop strap.Easy to wear out, quick. -Non-slip Outsole Professional anti slip sole provides excellent traction and stability for various surfaces and terrains. About Us: DADAWEN will persistently devote itself to different series of high grade shoes to meet its customers, we uphold an idea of customer first and products first, to help more people live a more comfortable life finally. 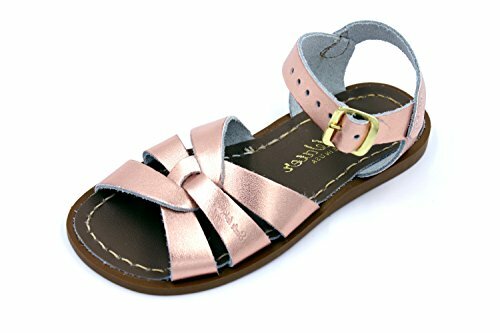 Bow deco on upper,open toe and adjustable strap hook-and-loop design,this girls sandals feature with good quality material and light outsole and soft insole. 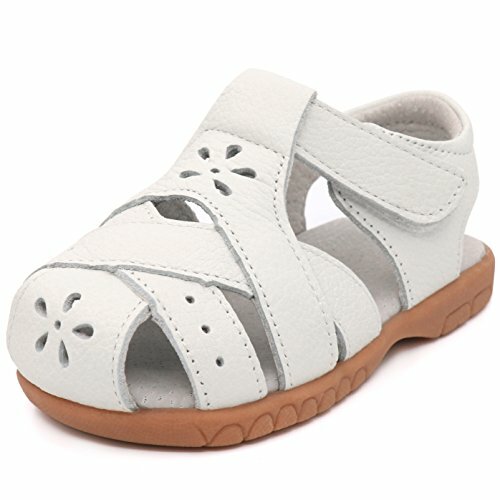 It is great for daily walking, party, school, a good dress sandals for your little princess. 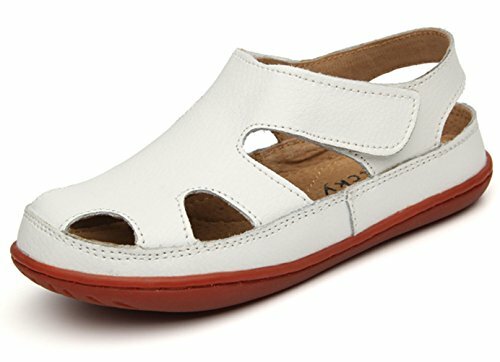 The original salt water® sandal is defined by its hand-stitched, non-slip, molded rubber sole and scuff-resistant, water friendly genuine leather upper. All salt-water® sandals clean up very easily with mild soap and water, come with rust-proof brass buckles, and are made for in-and-out of water wear. They go from children’s sizes all the way up to adult sizes and are popular among celebrities and fashionistas alike. They are a comfortable, durable combination of timeless style and versatility. Open-toed and breathable, the Millie by Stride Rite is a versatile, lightweight sandal. It can be dressed up or dressed down – however your toddler or big kid wants to wear it. Whichever way that is, she’ll be comfortable and stylish no matter what.